Bookkeeping is an important consideration regardless of the size of your business, but for a small business, it can be an expensive and time-consuming process–at least, if you do it yourself. 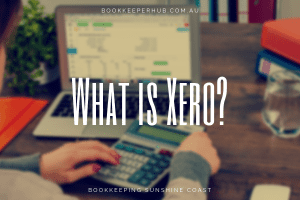 If your small business is in the Sunshine Coast area and you’re looking to save a fortune on the costs associated with cloud accounting, then TheBookkeeperHub can help you take back control of your business by giving you more time to focus on your growth. Whether you’re looking to optimize your bookkeeping process with up-to-date cloud accounting software or want to hire a professional Xero bookkeeping specialist to take it off your hands, we offer a range of different services to give you a helping hand. What Services Does The Bookkeeper Hub Offer? Bookkeeping is a time-consuming, tedious and often mistake-prone aspect of your business that no business owner enjoys. Sadly, it’s a vital part of your business that needs to be dealt with in order to manage your finances and ensure that you’re never behind on your tax payments. It can easily eat into your productive time, so in order to continue operating a productive and profitable business, you may want to consider hiring one of our professional Xero Bookkeeping consultants that can help you optimize your bookkeeping services or take care of the accounting needs of your small business. The Bookkeeper Hub can help you get your business finances on track with a Xero specialist that can handle your accounting needs, but we can also help you optimize your existing services with our expert advice. Simply forward your financial paperwork to us and we’ll input it into your Xero system while also preparing any monthly financial reports you need. As one of the world’s leading cloud accounting packages, Xero is used by many large corporations and startups thanks to its flexibility, simplicity and affordability. However, learning to use a completely new cloud accounting software package can be difficult and time-consuming, which is why it’s vital to consider Xero training which can reduce the learning curve and help you or your on-site accountant get accustomed to the new software as soon as possible. The Bookkeeper Hub can help you quickly get to grips with Xero’s features. We offer everything from a full training course that covers everything about Xero to short lessons that will teach you about certain features. Regardless of what pricing plan you choose, we guarantee that you’ll quickly understand how Xero bookkeeping works and save you time and money on managing your budget. It’s understandable if you want to maintain your own books for peace of mind and to learn how the process works, which is why we also offer a professional backup service that you can contact whenever you need advice on a certain feature of Xero. Simply get in touch when you need support and we’ll provide you with a working solution or even include a video to help you easily solve your issue. The Bookkeeper Hub offers two options for on-demand support; Xero Hero and Xero Super Hero. Both options also give you unlimited access to our video library which can educate you and your employees on how to use Xero to a professional level. This is the ideal service if you want to nurture your own Xero specialists within your company with the help of educational videos that will solve your issues, but we can also help you solve individual errors should your accountant be away or unavailable. 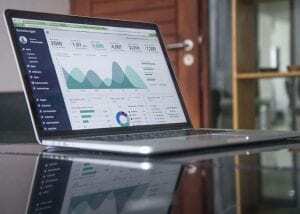 How Can Xero Bookkeeping Services and Training Help? Financial considerations are important regardless of the type of business that you operate, and managing your budget will always be easier with a dedicated accountant to manage your cloud accounting needs. Here are a couple of ways that Xero bookkeeping services and training can help your small business grow. You can focus on more productive tasks such as growing your business network and refining your products and services in order to attract a wider audience. You’ll be able to keep better track of your finances with the help of cloud accounting software such as Xero. This will offer you better finance management so you can track your invoices, see who still owes you money and also help you pay your taxes on time and in full so that you never encounter a financial problem. It takes the stress out of accounting. Whether you learn to manage your Xero system yourself or hire someone to help you take care of it, having expert knowledge on board is a must for any business owner. It’s understandable if you ever encounter any errors or problems with Xero that you’re unsure how to overcome. Perhaps it’s a bug in the system or maybe it’s a feature that you haven’t used before; either way, having the right support and training at your fingertips can help you save valuable time and money. With the right training and bookkeeping services, your business can perform more optimally with less wasted time and effort. You can focus on growing your company by providing better services and products to your audience instead of focusing on tedious and time-consuming tasks such as accounting. So whether you operate a small business or a large corporation in the Sunshine Coast area, don’t be afraid to contact us regarding your bookkeeping needs and we’ll be happy to help. Why Choose The Bookkeeper Hub For Your Sunshine Coast Business? There are several bookkeeping services in the Sunshine Coast area that you could contact, but we’re confident that with our two decades of experience and professional staff, we stand out as the premium option to rely on for a number of different reasons. We have over 20 years of experience in accounting. The Bookkeeper Hub is one of the longest-running bookkeeping specialists in Sunshine Coast with over 20 years of experience. Our professional team can handle any Xero-related issues. No matter what your concerns, questions or issues are, our specialist team are well-equipped and knowledgeable in all aspects of Xero and cloud accounting. We’re more affordable than similar services. Our subscription model means that you don’t pay for our services by the hour and you’ll have unlimited access to our video library which can help you solve common issues. We believe in collaborating with our clients. By spending more time collaborating with each of our clients, we can ensure a higher quality of service that is specifically aimed at helping you get the most out of your cloud accounting services. Whether you’re looking for a bookkeeper to take over your accounting needs or a cost-effective library of helpful content that can inform you how to optimize your Xero-related processes, our services can change your business for the better. Simply contact us today and we’ll be happy to discuss your needs and how we can help to improve and optimize your small business.